In his latest pivot to jobs and the economy, the President spoke earlier today in Tennessee. Much of his speech was tax-spend-and-regulate boilerplate, but he did repackage some of his ideas into a so-called grand bargain. He said he’s willing to cut the corporate tax rate in exchange for a bunch of new spending on things such as infrastructure (he didn’t specify whether it would be “shovel ready” this time) and dozens of “innovation institutes” (as if the notoriously sluggish and inefficient federal government can teach the private sector about being entrepreneurial. In theory, however, such a deal might be worthwhile. It’s not a good idea to add to the burden of federal spending, of course, but if there’s a big enough reduction in the corporate tax rate, it might be worth the cost. Worse than France? Worse than Greece? After all, America has the highest corporate tax rate in the developed world and is ranked 94 out of 100 on other measures of business taxation. But here’s why it’s important to read the fine print. The President wants to give with one hand and take away with the other. Yes, the corporate tax rate would come down, perhaps from 35 percent to 28 percent, but the White House has signaled that businesses would have to accept higher taxes on new investment (because of bad “depreciation” policy) and on international competitiveness (because of misguided “worldwide taxation” policy). To cite a very simple example, is it a good deal for companies if the corporate tax rate is lowered by 20 percent but then other changes force companies to overstate their income by 25 percent? In reality, it’s more complex, with some companies probably coming out ahead and others getting hit with a bigger tax bill. I dig into some of these details in a debate on Larry Kudlow’s CNBC program. The moral of the story is that it’s not clear whether the tax system would get better or worse under Obama’s proposal. And if he wants the “grand bargain” to be a net tax increase, then the odds of seeing an improvement drop from slim to none. So why trade more spending for – at best – sideways movement on tax policy? P.S. Republicans hopefully learned important lessons about the risks of tax-hike budget deals from the debacles in 1982 and 1990. But if they need a helpful reminder, this chart from the New York Times reveals that the only successful budget agreement was the one in 1997 that cut taxes. Obama’s Corporate Tax Refom: Rearranging the Deck Chairs on the Titanic? *The good news is that he reduces the tax rate on companies from 35 percent to 28 percent (still more than 32 percent when state corporate taxes are added to the mix). *The bad news is that he exacerbates the tax burden on new investment and increases the second layer of taxation imposed on American companies competing for market share overseas. Since the Clinton Administration turned out to be much more market-oriented than either his GOP predecessor or successor, this isn’t quite a man-bites-dog story. Nonetheless, it is still noteworthy that Elaine Kamarck, a high-level official from the Clinton White House, has a column on a left-of-center website arguing in favor of a pro-growth, supply-side corporate tax reform. Here’s some of what she wrote. Not only have the OECD countries reduced their corporate tax rates over the years to an average of 25 percent — members of the OECD are starting in on yet another round of cuts. Canada and Great Britain, two of our closest trading partners, are moving in this direction. America has the second highest corporate tax rate of any of the developed nations. We can’t sit by while our competition is changing. A 2008 report by economists at the OECD found that the corporate income tax is the most harmful tax for long-term economic growth. A 2010 World Bank study demonstrated that corporate tax rates have a “large and significant adverse” effect on investment. And investment and economic growth equals jobs. Wage data from 65 countries over 25 years shows that every one percent increase in corporate tax rates leads to a 0.5 to 0.6 percent decrease in wages. There are things in the rest of the article that rub me the wrong way, but I agree with everything in the above passage, as I explain in this video. The thing that’s most striking about Ms. Kamarck’s article is that she acknowledges the link between corporate tax rates and workers’ wages, thus agreeing with me – at least implicitly – about “trickle-down economics” and the deleterious impact of double taxation. More specifically, worldwide taxation requires firms to not only pay tax to foreign governments on their foreign-source income, but they are also supposed to pay additional tax on this income to the IRS – even though the money was not earned in America and even though their foreign-based competitors rarely are subject to this type of double taxation. In this most recent example, an energy company with substantial operations in Asia moved its charter to the Cayman Islands, as reported by digitaljournal.com. Greenfields Petroleum Corporation…, an independent exploration and production company with assets in Azerbaijan, is pleased to announce that the previously announced corporate redomestication…from Delaware to the Cayman Islands has been successfully completed. General Electric has received a lot of unwelcome attention for paying zero federal income tax in 2010, even though it reported $5.1 billion in U.S. profits. This is a good news-bad news situation. 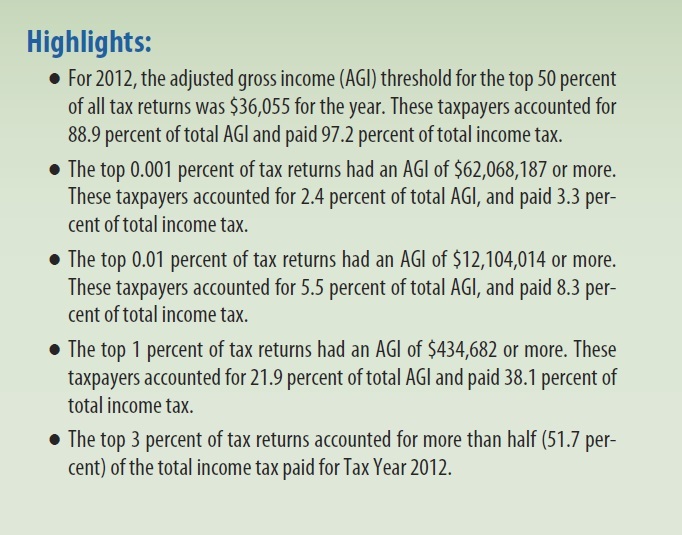 The good news is that GE’s clever tax planning deprived the government of revenue. And I’m in favor of just about anything that reduces the amount of money that winds up in the hands of the most corrupt and least competent people in America (a.k.a., the political class in Washington). The bad news, though, is that politicians can engage in borrow-and-spend vote-buying behavior, so depriving them of revenue doesn’t seem to have much impact on the overall burden of government spending. Moreover, there are good ways to cut taxes and not-so-good ways to cut taxes. Special loopholes for politically powerful companies and well-connected insiders are unfair, corrupt, and inefficient.And I’ve already written about GE’s distasteful track record of getting in bed with politicians in exchange for grubby favors. Ideally, we should junk the corrupt internal revenue code (and the corporate side of the tax code makes the personal tax code seem simple by comparison) and replace it with a simple and transparent system such as the flat tax. That way, all income would be taxed since loopholes would be abolished, but there would be a very low tax rate and no double taxation. Tim Carney of the Washington Examiner is one of the best economic and policy journalists on the scene today, and this excerpt from his column explains what is right and wrong about GE’s tax bill. GE allocates hundreds of talented minds to attempts at lowering taxes. I don’t blame GE for that. It’s probably worth it — which is exactly the problem. In a world with a simpler tax code — or better yet, with no corporate income tax — GE would spend those resources creating something of value. Again, this is a case where government creates a chasm between what’s profitable (gaming tax law) and what’s valuable for society. Also, this story demonstrates once again how Big Government hurts small business much more than it affects Big Business, which can afford to figure out a way around taxes.